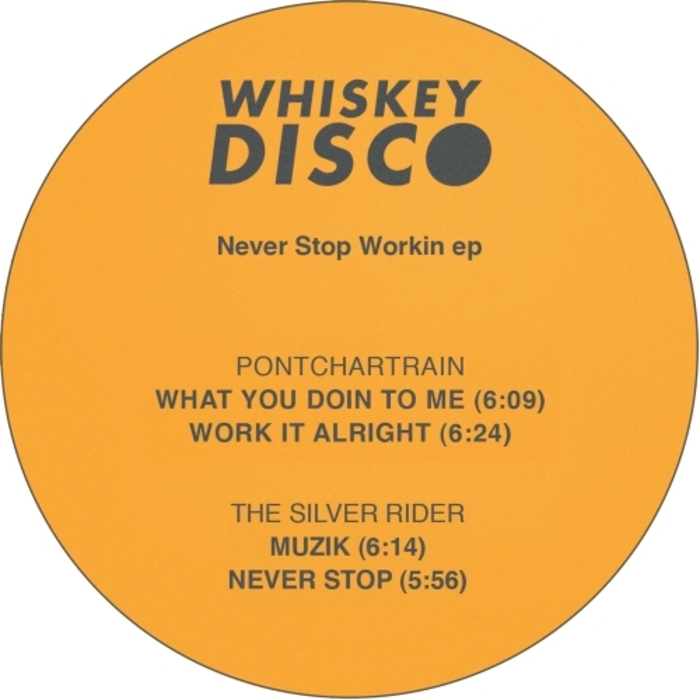 For their latest missive, Sleazy McQueen's Whiskey Disco label has paired two re-edit veterans; Pontrain and The Silver Rider. The former is very much on a 'Paris 97' vibe with "What You Doin To Me" being a joyous French Touch-style jam that weaves some slammin' filtered disco loops together and "Work It Alright", a powerful slice of passionate, housed-up soul. The latter also provides two quality jams: the slick, cocktail-fuelled disco-house of "Muzik", and the low-slung, elastic bass-driven Balearic grooves of "Never Stop".